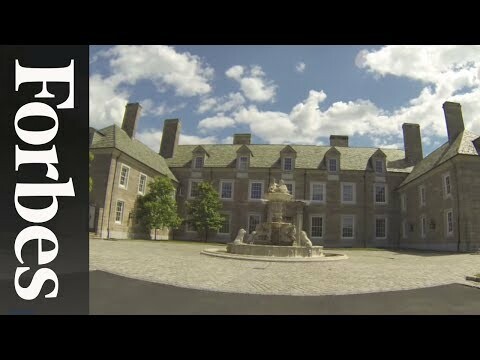 BEDFORD, N.Y. -- Republican presidential candidate Donald Trump's quick rise to the top spot of the polls has limited the time he can enjoy one of his favorite summer pleasures -- his 230-acre Bedford estate that straddles three towns along Byram Lake in Westchester. Seven Springs, built in 1919 by Washington Post owner Eugene Meyer (the father of Katherine Graham), was purchased by Trump in 1996 for $7.5 million. Its value now is about three times beyond that figure. The purchase, like much involving Trump, caused immediate controversy when his plan to build a luxury golf course flamed out after an eight-year process. He is now reportedly considering building as many as 14 large single-family homes on the property. Though Trump owns an impressive array of homes from Manhattan to Palm Beach, Silver Springs is the one in which he has spent many of his days during the summer months the last two decades. "I was about 12, 13 years old at the time (the estate was purchased)," Trump's son, Eric, said in a video interview with Forbes.com. "My father, during the summers, would always put us to work. We were literally riding mowers around, we were mowing all the fields, we were cutting down trees. "It was probably the best experience of my life in that it was the first lessons about development from my father. It taught me the building blocks of what we do every single day." Seven Springs also straddles North Castle and New Castle. It is anchored by a 50,000 square-foot mansion with 60 rooms, 15 bedrooms and two servants quarters. The estate also has three pools, including an indoor pool. It was the source of another controversy in 2009 when Libyan dictator Moammar Gadhafi planned on staying in a pitched tent on the property after a rambling address to the United Nations. Trump, who said he unknowingly rented the portion of the property to Gadhafi, asked him to stay elsewhere. For more on Seven Springs, check the Forbes.com report.